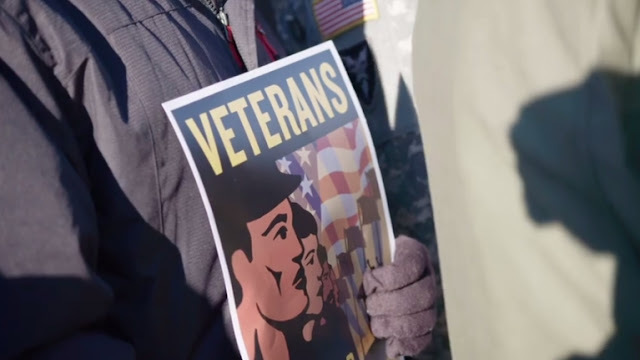 Sworn to defend the Constitution against enemies foreign or domestic, veterans from across the US traveled to Standing Rock last month. Here's what happened. They've been spraying them with water and mace and other things," said Wilbur Hilton, of Flint, a retired plumber and Vietnam War-era U.S. Army veteran. "We as veterans want to know if they can do the same to us. And if they will do this to us veterans of the military, then what does that tell us about our country?" 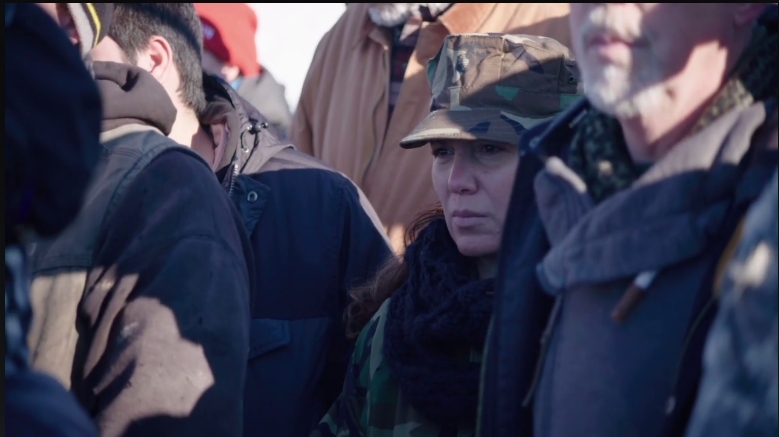 The veterans, easily identifiable in hats and camouflage jackets, remain far outnumbered by campers in plainclothes. At a campsite about 50 yards away, Iraq War Veteran of San Marcos, Texas, was helping put up the big green tent. Asked what he thinks will happen in the next few days, he said, "Good things." He said it's the first time veterans have had he chance to protect the "original people" of this land. The struggle is not over. Drilling is still taking place, and the brutal cold of a Great Plains winter has set in. But as the women say,“We’re not going anywhere." We’re not, either. Thanks to you, we have met the minimum amount to be able to continue to tell this story. We have faith that additional support will come to ensure we can be there every step of the way. Together, we’ll stand on the right side of history. said Shannon, Pearl, Lesley, Marc, Nara, and the women of Standing Rock. 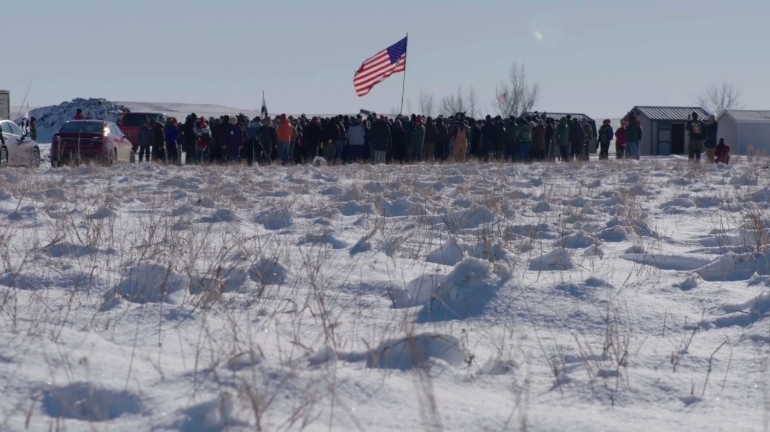 Responses to "Defending the Constitution: A movie about U.S. Veterans at Standing Rock"